New York magazine offers an exhaustive (if not exhaustingly long) feature on Björk’s new album “Biophilia,” including some revealing details about the Icelandic singer’s Henry Street home in Brooklyn Heights. “Björk’s family has been in this apartment for two and a half years now. ‘I never thought I would ever move to such an urban city,’ she says. ‘I could never live in Manhattan. I’m too Icelandic for that. But there are incredible schools here.’ The schools are for Ísadóra, now 9, her daughter. The penthouse has windows looking out in all directions and takes in enough sunlight for eight to 10 more ordinary Brooklyn homes. Plow through the entire story in New York mag here. Macy’s 2012 4th Of July Fireworks Diss Brooklyn… Or Not? Yawn. Could we keep the starf**k blog posts to a bare minimum? This is NYC, no one cares how “celebrities” live. It would be nice to see some pics of the home? Only if you’ll keep your s**t-for-brains posts to a minimum, Pubs. what street is the apartment on? C33: You can move back to Paramus, where they care about such things. Sorry Publius, but the public is against you. There are a lot of notable persons who live in the Heights- given that, the posts about them ARE kept to a bare minimum already. 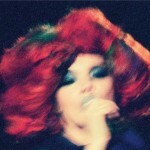 And Bjork is the most notable of them all if you ask me. Plus? She is totally your neighbor, so you oughta be nice to her unless you’ve got a good reason otherwise. This blog tends to repost ANY news story about ANY Brooklyn Heights resident it comes across. So get over yourself, Pubelius. Henry Street Dean. 160 I believe. Looks like some very nice digs! We were recently in Iceland touring Reykjavik and we got to see her house in the city there. It is giant black box by the sea, which for whatever reason, just really didn’t surprise us. :) We also got to hear her new album on the flight back here and it was very nice! I hope she continues to be happy here in the Heights for years to come. By coincidence, a few of Bjork’s CDs were donated to the thrift shop on Montague St. the other day. I thought I’d mention that, since (I believe) the nearest record shop is now in DUMBO. One should visit that one, too (Halcyon, on Pearl Street) as the stock includes carefully-curated vinyl, and the interior design employs an obstructionary pit of stones in the floor that solves the problem of how to define space in a narrow, deep shop. Lots of musicians live in BH, some just as famous as Bjork. There’s a park on Columbia Heights and Middagh dedicated to one of them. Another pair live on that street, and it was no coincidence that Pineapple Street was where one of the characters in “Angels in America” lived.